When Kat accidentally rips apart an old picture book, she’s magically transported into the world of Cinderella–as Katriona, one of the ugly stepsisters! Life turns upside down now that she’s a highborn lady and must learn how to survive the social season, including how to get through the door in a huge metal hoop skirt. To get back, she’ll have to complete the story, right to the end of happily ever after. But the odds are huge: the other stepsister is drop-dead gorgeous, the fairy godmother is nowhere to be found, and the prince, despite being insanely hot, openly dislikes balls. Can she ever return to the modern world? I love the classic fairy-tales and their retellings. 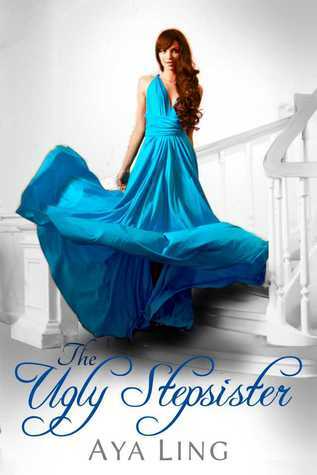 When I saw that The Ugly Stepsister was a Cinderella retelling with a twist, I requested it right away, and I’m glad I did. At first, the story was a little slow getting into, but I liked it a lot when it picked up. I love that this wasn’t just a Cinderella retelling—it’s twist made it different. Instead of our protagonist being Cinderella herself, she is one of the ugly stepsisters. Kat is pulled into the story when she accidentally ruins the book. To return home to her family, Kat must complete the happily ever after and get Cinderella her prince charming. However, while Kat tries to get Cinderella and the prince together, the prince ends up falling for Kat. This was a new version of the story that I haven’t read before, and I really enjoyed reading it. I liked the storyline between Kat and Edward, the prince, very much. I loved how their relationship grew, and yes, I did love the romance between the two of them. This book was funny too. Watching Kat try to adjust to this story world and all the hijinks she caused while trying was very amusing and made the book very enjoyable. The ending was little disappointing, though. I know that Kat had to eventually go home, but I would like to have known a little more. Overall, this book was an enjoyable read. I would definitely recommend it to those who like fairytale retellings.